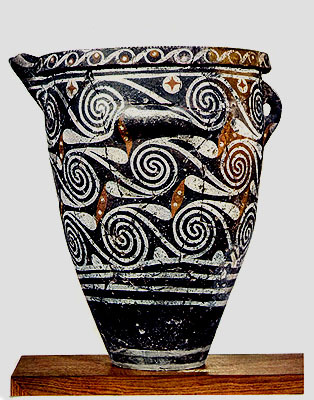 Minoan pottery pictures collection from greek museums Each thumbnail photo is a link to a larger version of the same photograph. From the Knossos palace storerooms. It is decorated with relief wavy bands and has a Linear A sign inscribed. 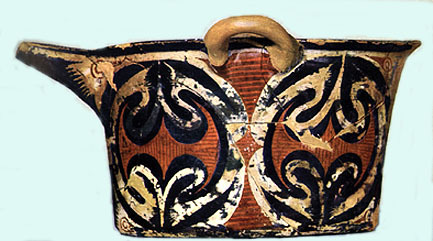 From the excavations of Minos Kalokairinos at Knossos. Donated in 1887. 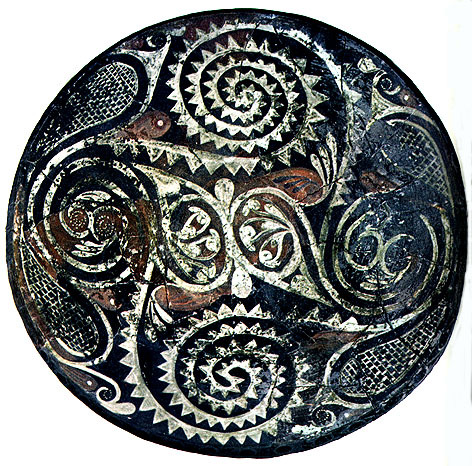 Alabastron with marine style decoration. 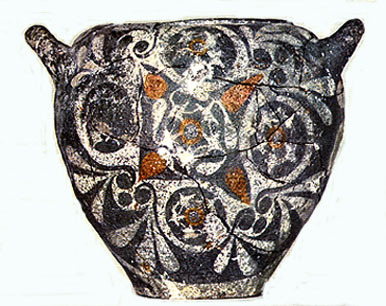 Of the late Minoan IB/ Late Helladic IIA period (15th cent BC.). From Phylakopi III. 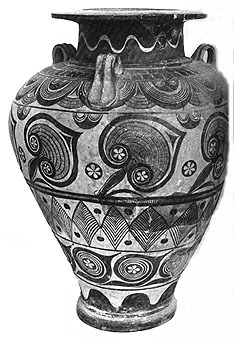 Knossos jar. Herakleion Archaeological Museum. 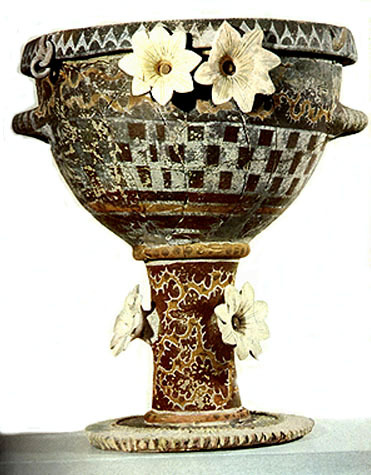 Kamares ware krater with moulded flowers. Herakleion Archaeological Museum.